Install & configure in less than 1 hour! Configuration is done by wizards which walk you through each step. No additional software, hardware or database is required. There are no security risks at your firewall and no additional firewall port is required. Does not require any trust between Exchange organizations. Does not require any access to Availability Service through internet. All information can be exchanged by using E-mail, FTP or Fileshares. Some companies have deployed multiple Active Directory structures, thus, users cannot find the mail address of colleagues located at the other sites in Outlook’s Global Address List. With GALsync, all mail addresses will be present in Outlook. If your company has a partner company with whom you collaborate on a regular basis, GALsync will enable you to share some user and free busy information for Outlook and Exchange users in the Global Address List. When it comes time for your company to migrate to a new Exchange organization, GALsync ensures that all migrated users may send messages to users in the original organization and vice versa. 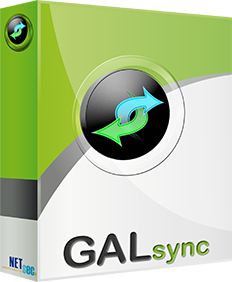 Ready to give GALsync a try?